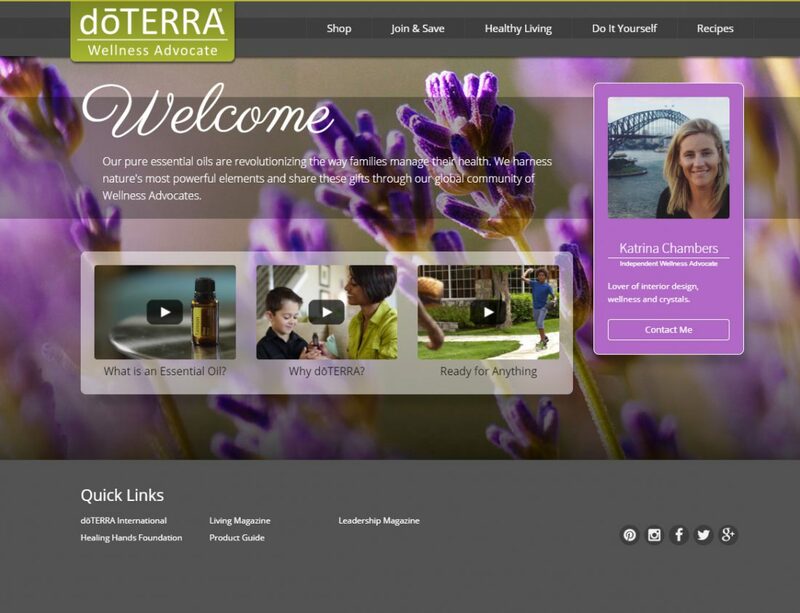 Why did I start using essential oils? 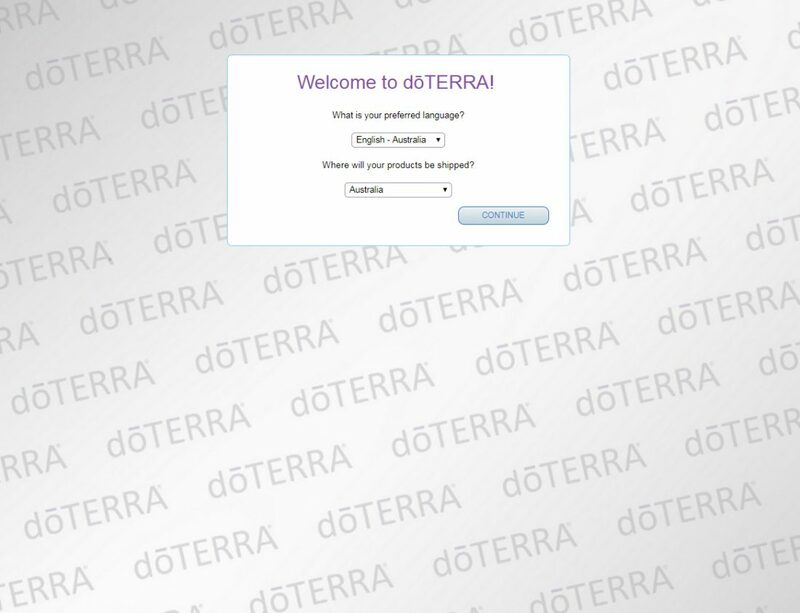 Set up your own account by selecting JOIN & SAVE here and choose WHOLESALE CUSTOMER. Be sure to add the $35 ‘Introductory Kit’ which is your yearly membership that will unlock your 25% discount. 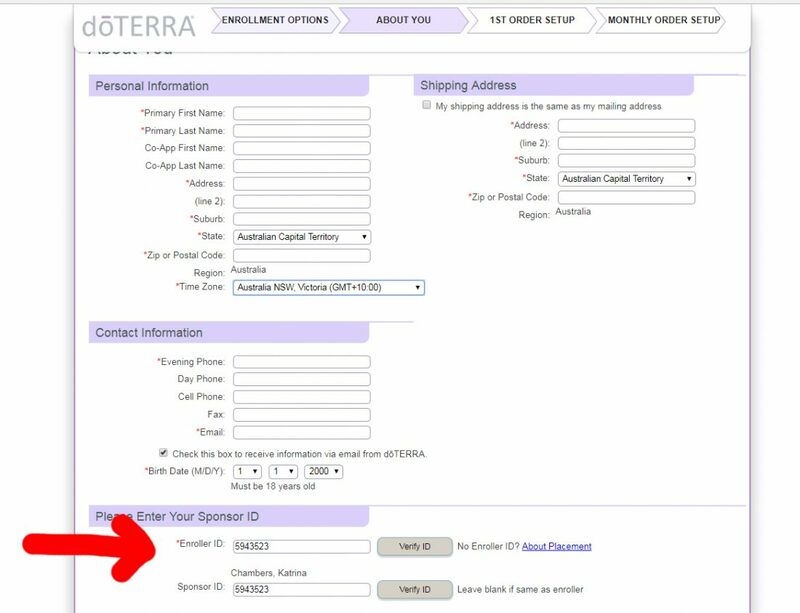 If you’re buying an enrolment kit your $35 membership will already be included so no need to add. Then you are free to order as you like, no gimmicks, no minimum orders. 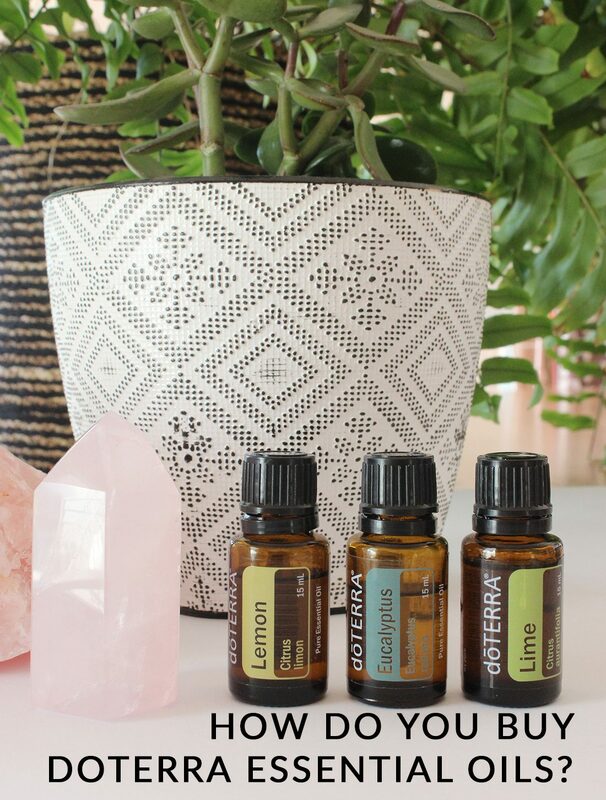 To get yourself started on your oily journey to better health, sleep and energy then you CANNOT go wrong with the Home Essentials Kit (all the oils in the photo + a diffuser!). Read all about those oils here. 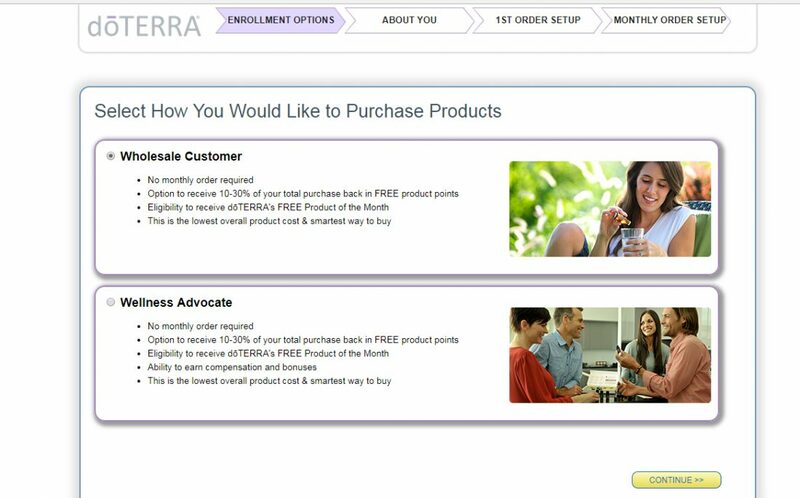 Step 7 – Go back to your dashboard and add a monthly wellness order called LRP – Loyalty Rewards Program – (flyer explaining it better). 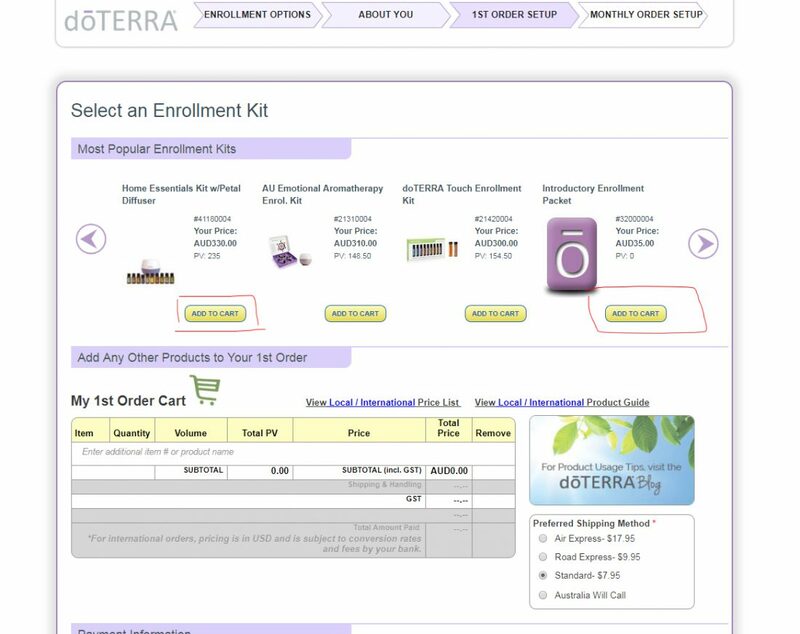 Once you purchase through me I’ll give you access to my private Facebook group where you can learn more about WHY you need a monthly wellness box and also gather freebies along the way. I have a video showing you how to set it all up. 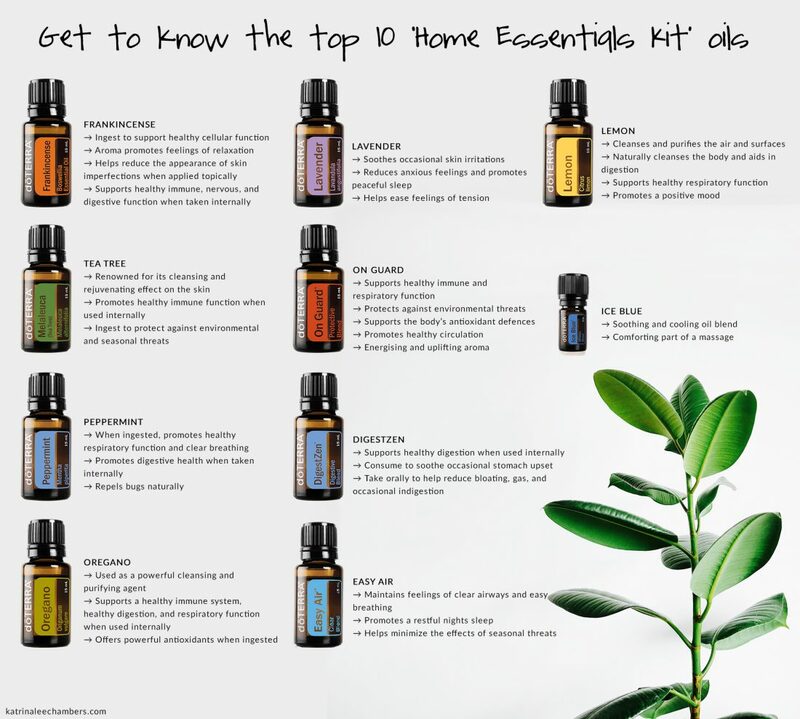 Most people buy the HOME ESSENTIALS KIT (you get all the 10 oils in the image above plus a diffuser). You will use every single one of these oils! I promise. The $35 wholesale fee is already included. It will costs $330 wholesale, or $460 retail. So that’s a huge saving! 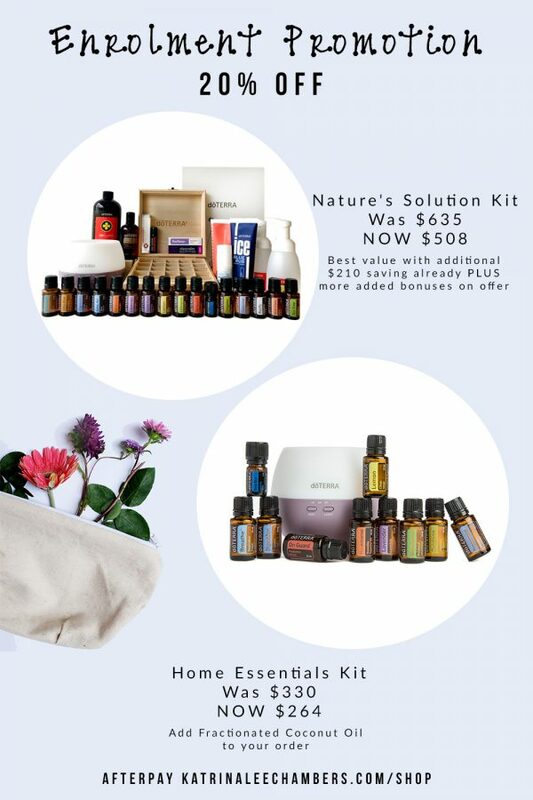 You don’t have to buy this kit though, you can just begin with one or two oils. Add the Fractionated Coconut Oil to your order. It’s $16. You WILL need to use this as a carrier oil to dilute certain oils like ICE BLUE for muscle aches and pains (similar to deep heat) because it’s very strong. 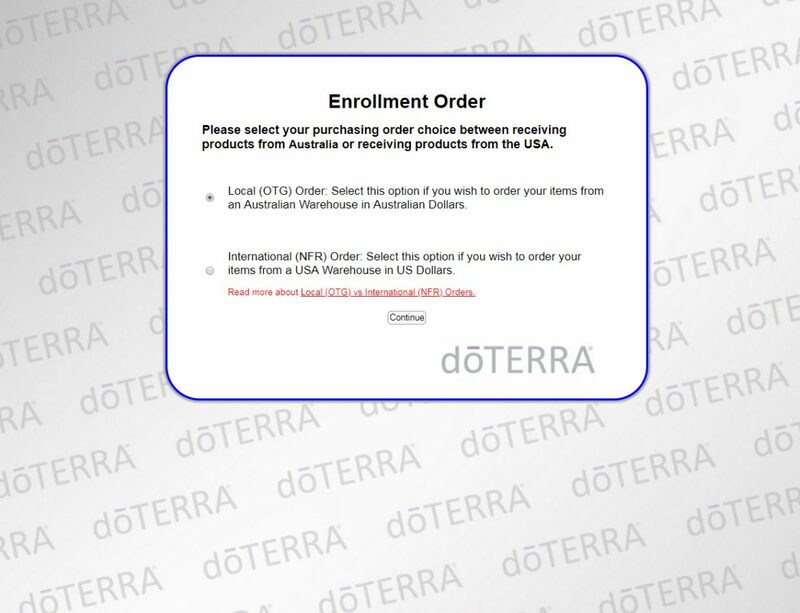 THEN, after you’ve signed you can set up an LRP – Loyalty Rewards Program – monthly order. It’s like Fly-buys or Linen Lovers at Adairs. The reason WHY you should do this (but you don’t have to) is because you will receive points plus free stuff. You can use it to add a friend’s oil here and there. 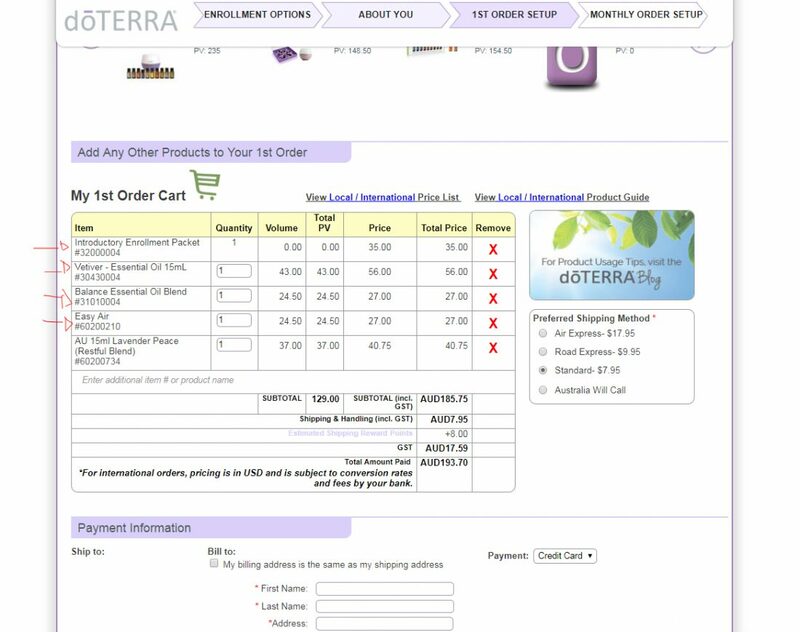 So if you have someone who just wants to try an oil then use YOUR monthly order. 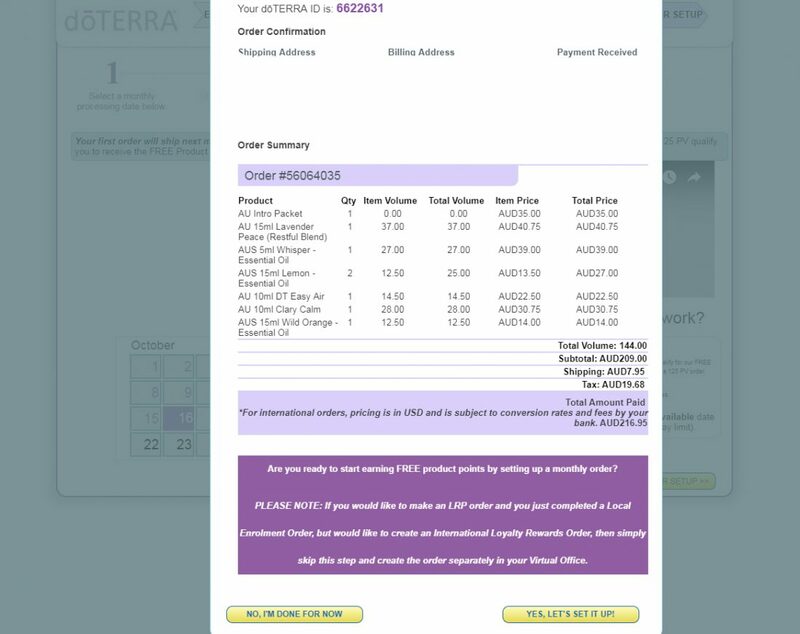 My friend got $280 worth of free oils last month! I call it my monthly wellness box though. 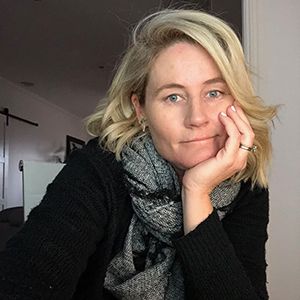 It’s my commitment to feeling well (not just me, but my whole family). You can cancel it any time. There is no pressure to feel locked in. I also bought a really cool app called Modern Essentials. 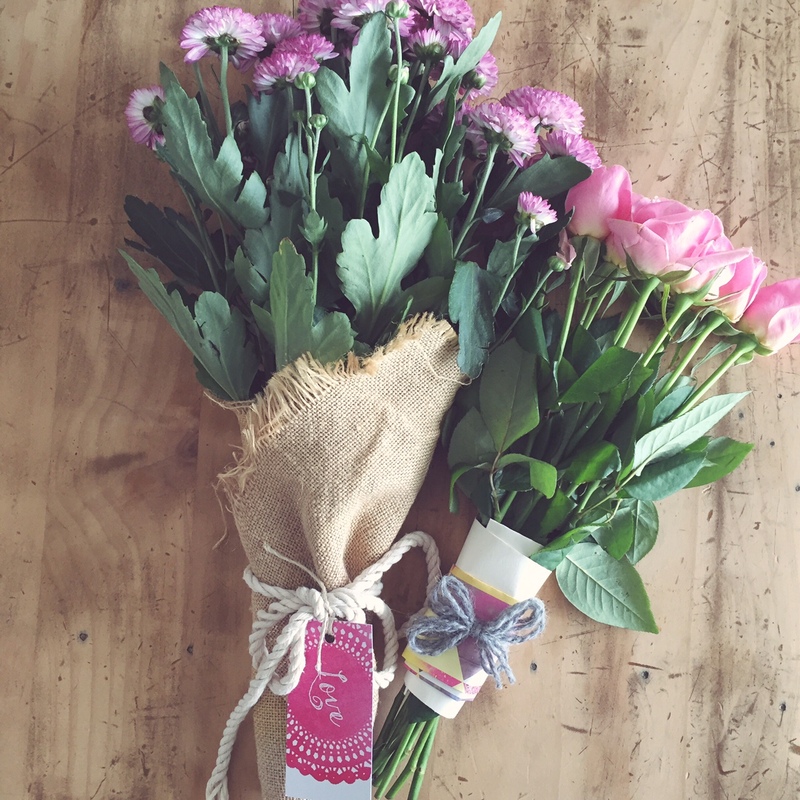 It’s a light blue colour with a white flower on it. 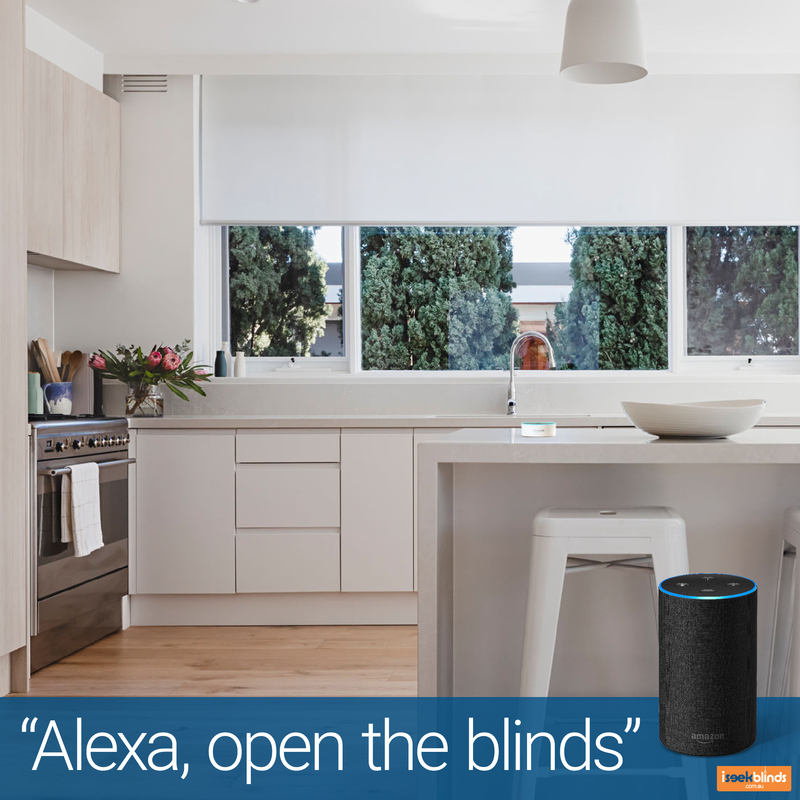 It is so handy because all you do it type in what’s wrong and it will tell you what to use so you know what to order next! Email me any time if you have questions. 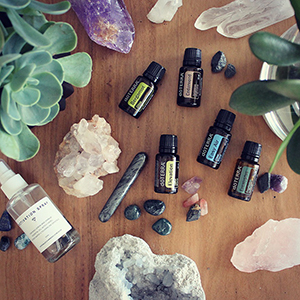 Here are some blog posts I’ve written about essential oils. I do sometimes have AFTERPAY available for these kits too. If you want to share oils too and be in my team go here!